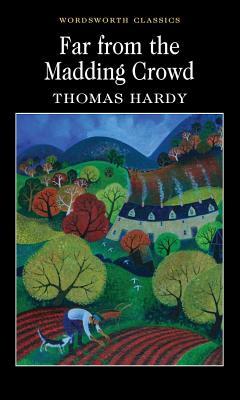 Far from the Madding Crowd is perhaps the most pastoral of Hardy's Wessex novels. It tells the story of the young farmer Gabriel Oak and his love for and pursuit of the elusive Bathsheba Everdene, whose wayward nature leads her to both tragedy and true love. It tells of the dashing Sergeant Troy whose rakish philosophy of life was '...the past was yesterday; never, the day after', and lastly, of the introverted and reclusive gentleman farmer, Mr Boldwood, whose love fills him with '...a fearful sense of exposure', when he first sets eyes on Bathsheba.